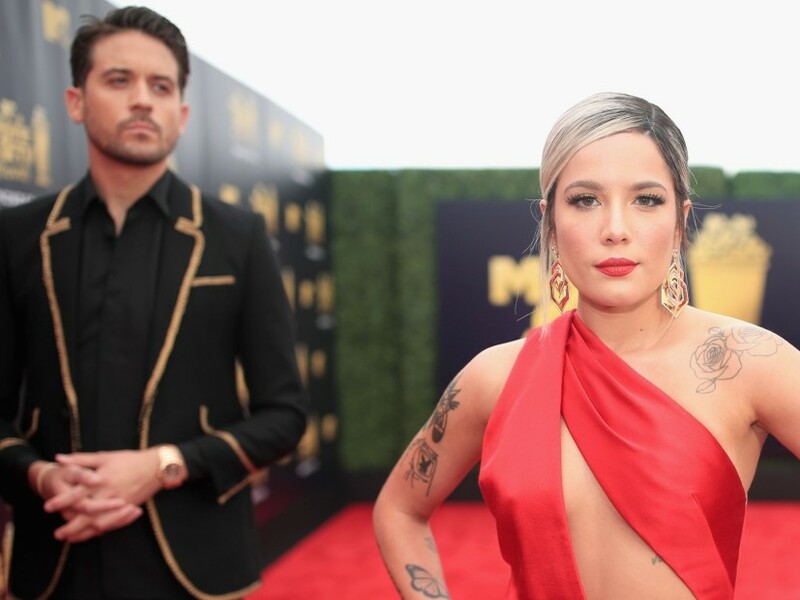 Following months dating, Halsey and G-Eazy have called it quits. The pop singer broke the news on her Instagram Story on Tuesday (July 3). “I normally keep this kind thing private but provided our public nature I feel the need to inform my fans,” she wrote. 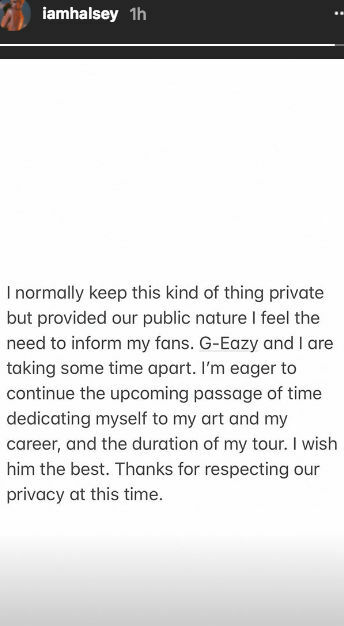 “G-Eazy and I are taking some time apart. In December 2017, they collaborated on the song “Him & I,” which hit #1 on the Pop Songs radio airplay chart. She was also with him when he was arrested in Sweden in May on charges cocaine possession and assault. Halsey deleted all the photos him on her Instagram account.